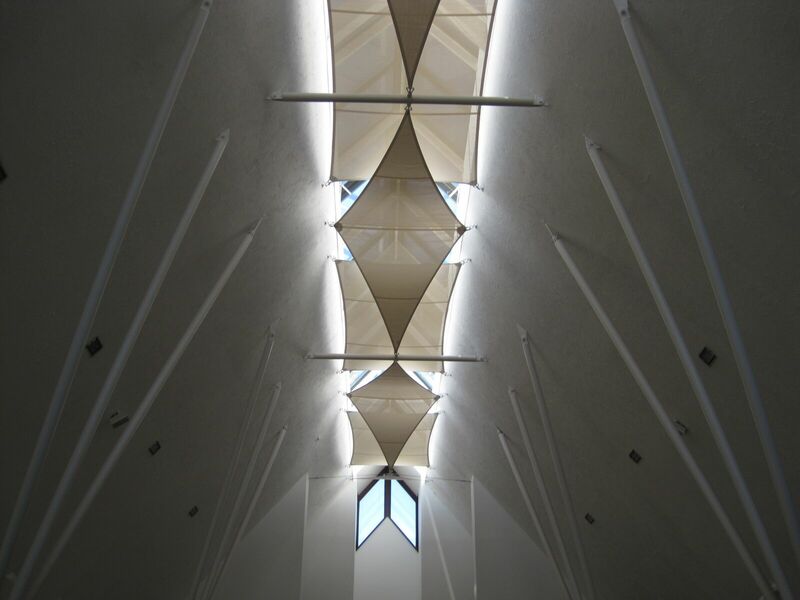 Mesh Shade Sails for Internal & External applications. 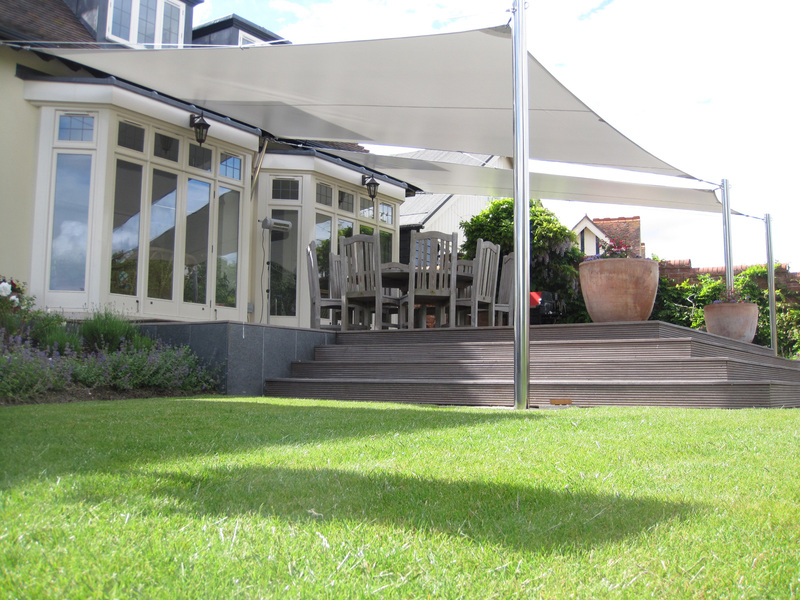 Mesh Shade Sails are an excellent contemporary way of achieving shade & protection from harmful UV rays. 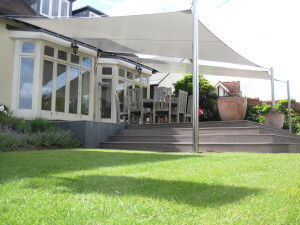 Mesh shade sails allow rain water to pass through them and can be installed flat to maximise cover. 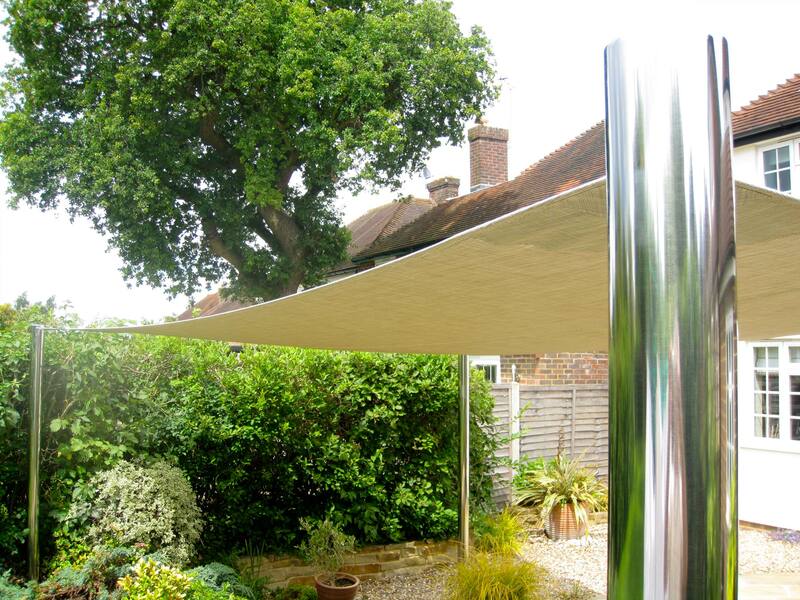 World class high tech tensile solid PVC fabrics formed into 2d and 3D shapes create weather proof canopies for uses including alfresco dining , performing arts , play areas , work spaces and social gatherings. Customers include Private homes, Schools , Hospitality Industry, Commercial workplaces, and all types of organisations. 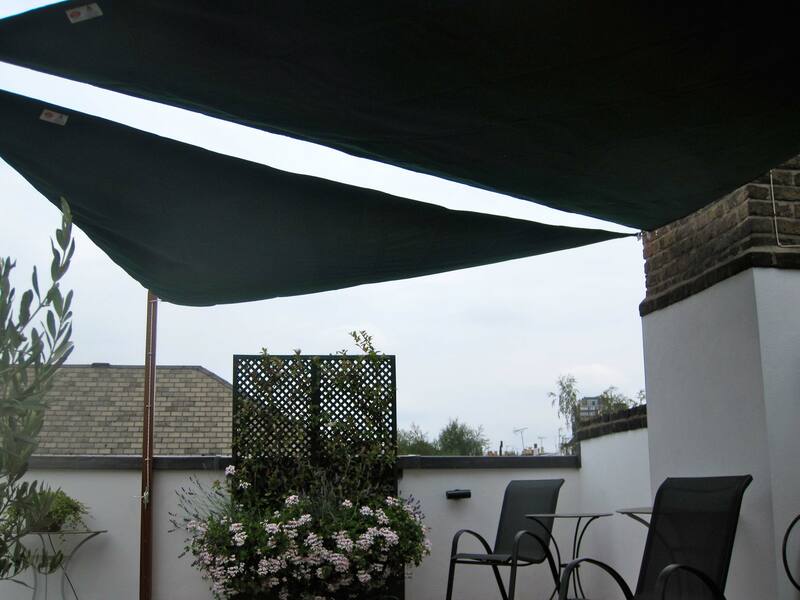 Rain and shade sails may be installed as stand alone structures or connected to existing buildings. 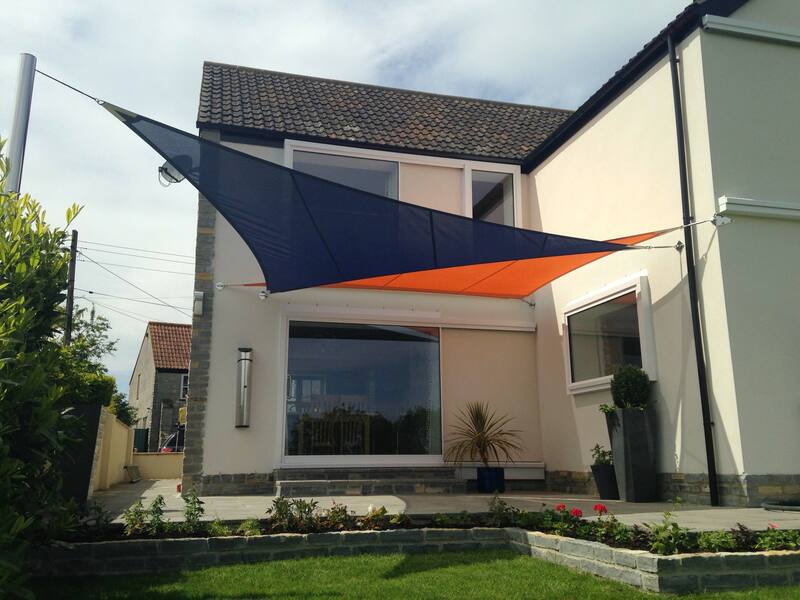 Our sail arrangements are all bespoke . 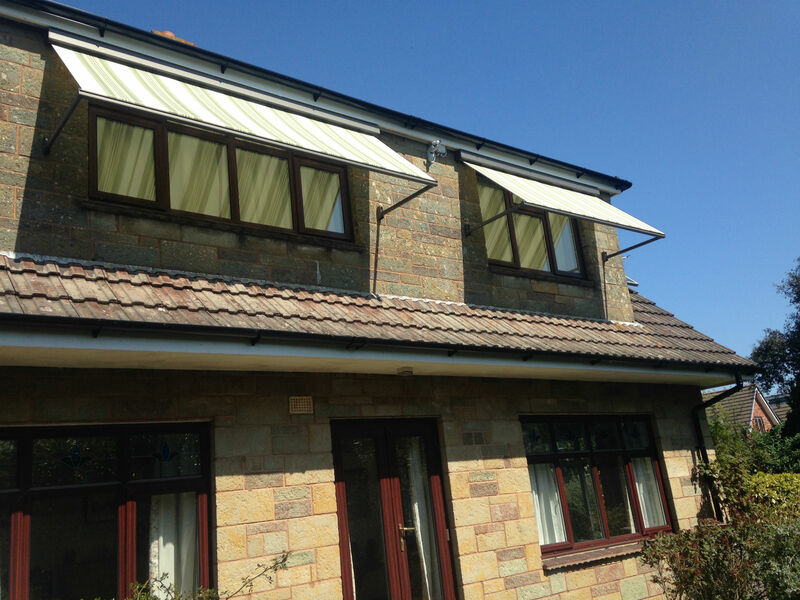 We utilise a wide range of elements to form each installation. We design and fabricate marine grade stainless steel brackets , posts & fittings. Chose from laminated varnished timber, Oak, Hardwoods, galvanised and powered coated mild steel for the sail posts and super structure. 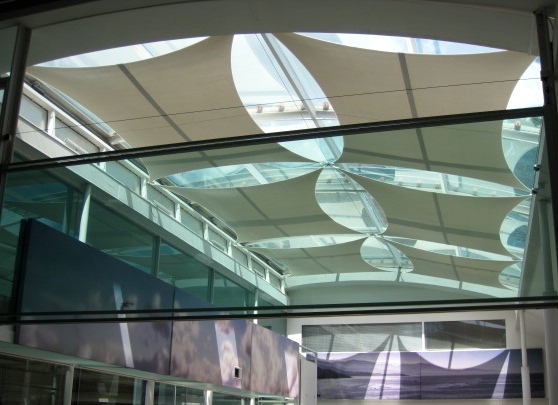 Shade sails may be used to create internal shading when installed just outside a building . 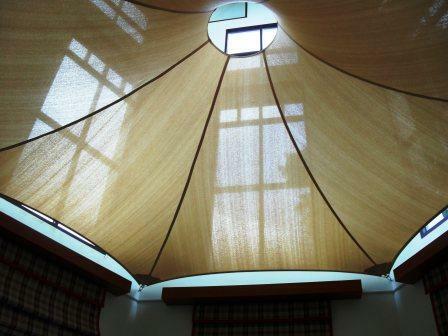 They can also be fitted inside a conservatory or any glazed building to reduce heat build up and air conditioning costs, see our Interior shade sails page .Shade sails have many internal applications in offices , shopping centres , and buildings with glass curtain walling. They are very useful for theming events , and camouflaging unsightly building elements. 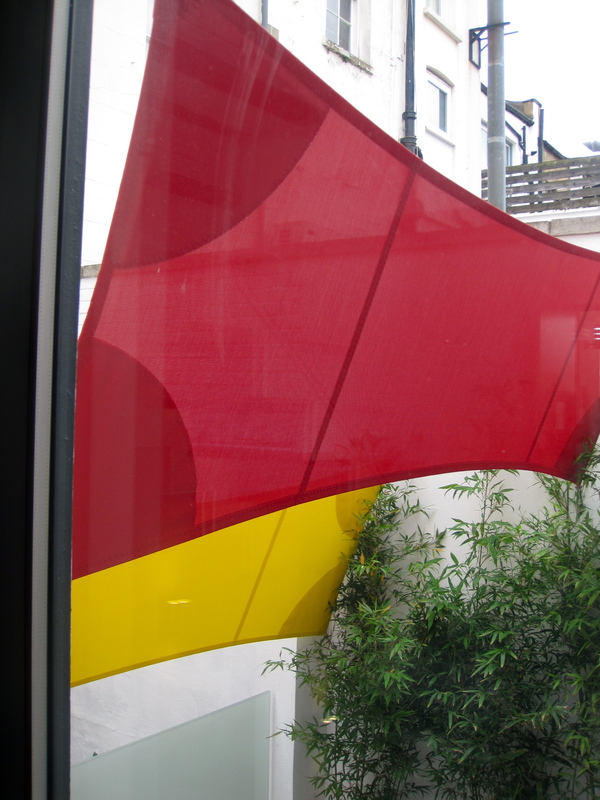 Our sails are manufactured by highly experienced UK sail makers which specialise in bespoke textile fabrication and custom fabric structures . The process involves 2D & 3D design and patterning , CAD fabric cutting , welding and incomparable stitching techniques. Our sails are designed to last. 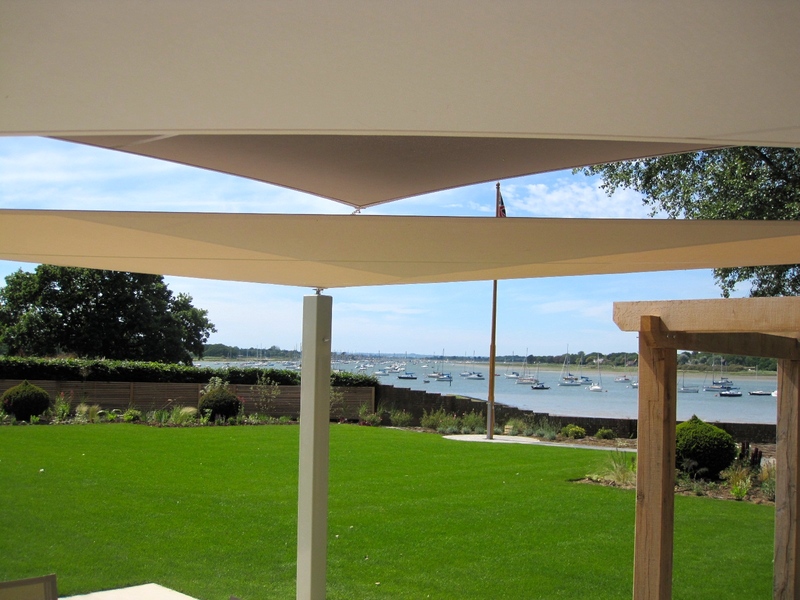 Take a look at our sail gallery for examples of our work ranging from simple garden sails to multiple internal & external commercial solutions.